The T.R.A.F.F.I.C. 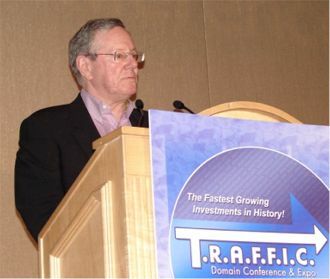 domain conference hits double digits when the 10th show in the highly successful series, T.R.A.F.F.I.C. 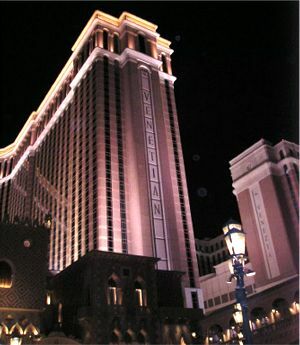 West 2008, is staged Feb. 18-21 at the world's largest hotel - the fabulous Venetian in Las Vegas. 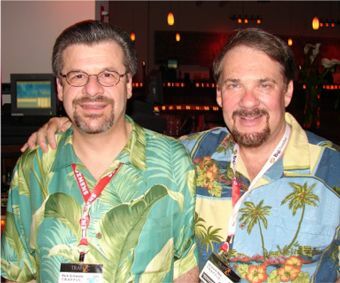 This is their 4th go-round at this venue where conference co-founders Rick Schwartz and Howard Neu will once again have the task of trying to top themselves. So far, they are nine for nine in that category and even though the conference space has gotten crowded with competitors in recent years, few would bet on their string of hits being broken now. They continue to attract the largest number of industry "high rollers" making T.R.A.F.F.I.C. the place where major deals get done. It is also the show for people who like to see the status quo challenged. 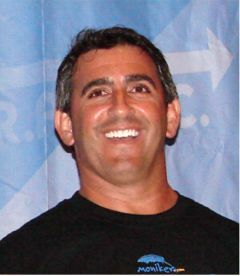 Schwartz has never hesitated to say what is on his mind, even though it often lands him in hot water. For T.R.A.F.F.I.C West he is grabbing hold of one of the industry's hottest potatoes - lack of transparency in the PPC business - and sparks are sure to fly. We got together with him for an exclusive interview (that also features some comments from Howard Neu) that will clue you in on what's on tap for T.R.A.F.F.I.C. West. DN Journal: The overall theme of T.R.A.F.F.I.C. West 2008 – one that has not been explored before – is transparency. Tell us why this was chosen as the show’s focus and how you plan to tackle this hot button issue? 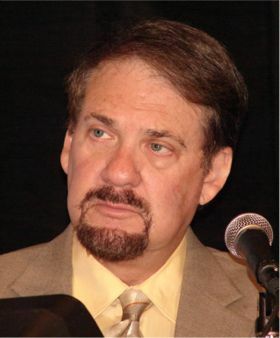 Rick Schwartz: It’s time for domain investors to wake up. They talk about “X” which is a VC game and they don’t even know it. But if they are foolish enough to play the “X” game, then focus on X!!! Let’s stop kidding ourselves. Domainers are on the short end and it is no secret. Domain investors are very diversified. So they BUY T.R.A.F.F.I.C. as well as SELL T.R.A.F.F.I.C.. It is interesting when I hear that they pay $1 a visitor and by the time the domain owner gets their “Share,” it is 2 cents! So if you base your life on “X”, I just pointed out where “X” can be 50 times what folks are selling their domain for. If you want to play the “X” game, the least you owe yourselves and your family is to play it good. of the success of T.R.AF.F.I.C. and that is why T.R.AF.F.I.C. will always be a different type show. So others won’t ask what happened to the 98 cents. I will and if it takes all of 2008, this industry deserves to know. Transparency is the only way and I think there is a ground swell to find out what the heck is going on. Transparency is a two way street. Domainers have to be transparent with their T.R.A.F.F.I.C.. Besides the obvious benefits transparency will give domainers, the real secret of transparency is bringing in new advertisers that can better judge their T.R.A.F.F.I.C. buys. As time goes on this will only become more important. The good news is there is broad support for this and the challenge is defining how it will be implemented. I see a time in the not too distant future where T.R.A.F.F.I.C. will actually be graded like gasoline. That way those that have the most potent T.R.A.F.F.I.C. will be rewarded and those that have crappy T.R.A.F.F.I.C. will be penalized. The result will be that all groups will make significantly more money as advertisers will gain confidence in their ad buys and that has the power to transform things in a big way. 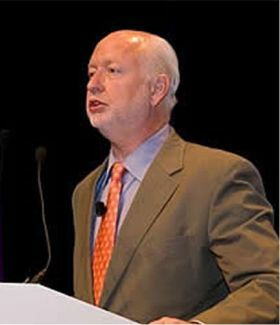 DN Journal: Let's drill down to some of the agenda specifics starting with keynote speaker Jim McCann of 1-800-Flowers. T.R.A.F.F.I.C. has a history of bringing in great keynote speakers, including Forbes Magazine publisher and former U.S. Presidential candidate Steve Forbes at your last show. How does Jim fit into the mix and what kind of insight and inspiration can he bring to domain owners? 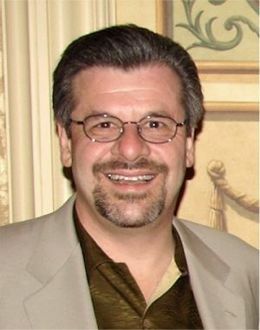 Rick Schwartz: First of all I think it is important to bring business leaders of all types that are heavily connected and expose them to what we do as well as listen to things they have learned traveling down similar paths so that we can avoid the great pitfalls. When we refer to Jim McCann, we are talking about somebody who actually invented the path we are on. He was the first to really recognize the power of a “Vanity” 800 number and used it to disrupt one of the oldest consumer industries. The path he has forged is the path many have been on for 25 years or more. He changed how folks do business. He is a renegade, a maverick and now part of the corporate mainstream. So not only did he invent the path, he can tell us secrets to get further on that path. 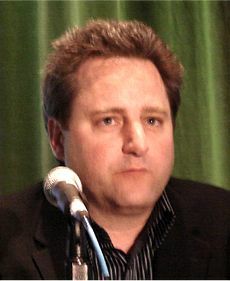 I believe a conversation with Mr. McCann could change the future of our industry. believed he was the person that could pull it off. I think the attendees are going to be thrilled with his presentation. He is a man who has worn our shoes and has gone down our path and has seen it from all sides. I asked him only one question during the conversation. “What would your business look like today if you did not own flowers.com?” I am not sure what the exact answer was, but it came packaged in a groan. So it was obviously something that imagining it for only a moment could make the stomach turn. We are all in for a big treat and I can’t wait until after his speech when folks come up to Howard and myself and say something like…We did not believe you could actually top Steve Forbes, but you did! DN Journal: Among the new wrinkles you are introducing is a pre-show elite auction immediately after the welcoming cocktail party Monday night (Feb. 18) in which Moniker will sell a short list of about 50 top notch domains. Tell us about that idea as well as how the main auction Wednesday afternoon (Feb. 20) is shaping up? Also, while we are on the subject, many have wondered how, if at all, Oversee.net’s acquisition of Moniker (who pioneered the live auction concept with you at T.R.A.F.F.I.C.) might affect your partnership with Moniker going forward? Rick Schwartz: Monte has assured us that it is all good and we believe in Monte. I think it best for the industry if in our efforts we learn to compliment what we all do and dovetail things as opposed to what went on during the first half of 2007. Monte has always promoted “Coopetition” and this is his chance to bridge whatever gaps that may remain. That can only be good for the industry. thing we can do is have domains that are great and have them at a market price in which they can actually change hands and help move the industry along. I sent out a small preview list last week and I think it is the best by far. In addition, Howard and I plan to make a big announcement in the next few days or weeks that will have a significant impact on the aftermarket and add a great deal of excitement. DN Journal: T.R.A.F.F.I.C. always manages to mix a lot of fun in with a great atmosphere for doing business. A day before the show officially begins, you have something scheduled on Sunday (Feb. 17) that should command the city’s attention – and that is not easy to do in a jaded town like Las Vegas that has seen it all. Tell us about that. Rick Schwartz: I had an idea during the Florida show in October and decided on the spot to make it happen. Since a lot of folks get to the show a couple days before it actually begins, we decided to have a “Road Rally” in Las Vegas. We have hooked up with an exotic car company that has it all and there will be about 2 dozen cars as we travel thru the desert, have lunch and then parade our “.Coms” down the Las Vegas Strip. It will be a parade of domainers in exotic cars and it should be a blast. It’s just a few hours of FUN that will be remembered for a lifetime. Lamborghini, Ferrari, Porsche, Bentley, Maserati, Mercedes, Hummers, Corvettes and more. Don’t miss it! Anyone that wants to participate needs to email me directly so we can set things up. They can just go to the website and go to the “Contact us” module. DN Journal: As the domain industry has grown, competition has heated in every corner of the business, and that is certainly true in trade show production and promotion. As the first mover in the field, and one with a stellar track record, T.R.A.F.F.I.C. has set the bar high for others in the sector. In the past your biggest challenge was topping yourself. Has your job become a lot tougher now that you have to outshine others as well? In that same vein, what do you feel distinguishes T.R.A.F.F.I.C. from other events on an increasingly crowded conference calendar? discovered in 75 years as we will surely be dead. So I saw this as a 3 year project to achieve that goal and Howard saw what I did. The first show in 2004 and Yahoo And Google showed up and the dialogue had begun and we are on the way. Each show was designed to take advantage of the momentum of the previous show and trail blaze new territory. Each show also had a theme, a challenge and a goal. Each one we were able to succeed. The secret is Howard and I just set the tone and loose agenda, it is the attendees that make it. A staggering number of REAL decision makers. Deals done right there. No board meetings, just decisions. Getting back to the 3 year plan…..Steve Forbes was the Crown Jewel of the end of the first phase. That really brings us into the second phase. Now that domain names are no longer a secret. Now that domain names are a multi billion dollar industry. Now that domain names are starting to get the recognition they deserve. The T.R.A.F.F.I.C. shows in 2008 will be interesting as we deal with a sensitive subject. A subject others may talk about but only T.R.A.F.F.I.C. will tackle with full force. We have brought this subject to light and once we did others talk about it and I welcome the discussion. But folks should not forget who brought up the subject and will focus on it until a real result is achieved. I don’t think we have to outshine anybody. What we need to do is keep challenging the status quo. Keep pushing the envelope. Keep ruffling feathers. Keep pushing the monetization process. This is serious business with billions at stake. T.R.A.F.F.I.C. has been a very influential leader in the fight and I think folks are realizing that. The one promise I will make is I would rather walk away from T.R.A.F.F.I.C. and close it up before I wasted anyone’s time. The day we can no longer move the industry forward is the day we will close it up. I would hope some day that T.R.A.F.F.I.C. will be run and conducted by people in the industry that only have one focus and that is to move things forward and keep increasing the value of our assets. My life dream is not to run a tradeshow. It is to go on as world cruise. Howard Neu: What started out as a small gathering of selected people who collected domains in 2004, has developed an entire industry where no industry previously existed; the “industry” of domain investment. What sets T.R.A.F.F.I.C. apart from its flattering imitators is that we have nothing to sell, no axe to grind, no agenda to push on the attendees. Our only goal is to further the industry and we have been very successful in doing just that. While we initially were primarily interested in putting domain investors and developers together with the monetizers, our view has broadened considerably. This will mark our 4th visit to Las Vegas and our 10th T.R.A.F.F.I.C. and at each of the 10 events, we have focused on different aspects of the industry. At the first Las Vegas show we focused on Domain Hijacking and pressured registrars to work together and have a “Sense of urgency” when dealing with such situations. In Silicon Valley we brought in bankers and VCs, at Las Vegas last year we focused on developers. In New York we went after Wall Street and investors and have made a few attempts at attracting Madison Avenue. At our last event, with Steve Forbes as our Keynote Speaker, we concentrated on our place in investment history and the parallels of domains to other investments. We brought in the SEO factor and will be concentrating on “transparency” of the monetizers in Las Vegas in 2 weeks. Our success is in the “industry” realizing that it is indeed an industry that must be represented and protected by an organization like the ICA which we gave a platform to get started and worked with the organization to get it off the ground. Through Rick’s extraordinary ability to see the trends that will be coming in the future and create programming to bring these trends to Domainers attention, we have been in the forefront of every innovative aspect in the industry. This includes providing a platform again and again to Sponsors to unveil new products and bring them to the most influential domain investors and developers. Every large Parking Company and monetizer has used T.R.A.F.F.I.C. as the springboard to announce new programs and innovative technology. Each T.R.A.F.F.I.C. show had a defined mission and a successful result. Each T.R.A.F.F.I.C. has benefited all who came and that is the reason they keep coming back. So in answer to your question, no, it has not gotten tougher to “compete” with rival trade shows as there are no trade shows that can do what we have done as they are all one dimensional and will continue to be so as long as they have a product to sell to their customers. DN Journal: The general economy appears to be headed for or is already in a recession. A lot of people are wondering how an economic downturn might affect the domain business this year. After seeing several high value auction sales earlier this month at DOMAINfest, several mainstream outlets, including Fortune Magazine’s Paul Sloan asked in print if domains might be recession proof. What is your take on this? Have registration rates for the upcoming show given you any indication that people in our industry are becoming cautious? The point is that our destiny is in the hands of others and it can go either way. However if they are objective, they will start closing their B&M stores that are marginal and take those savings to invest in growing their online presence via online advertising. Those that don’t and can will be washed away because their competition will. Their spreadsheets all show them 25% growth online and low single digit offline. They are SOOOOO SLOOOOOW to react. Their equation is upside down. They spend 90% offline in dying newspapers and magazines with a shrinking subscriber base while only spending 10% online if that. They got it upside down and those that expect to survive and thrive thru this crisis better figure it out before the real world overhead sinks them. great thing. It can only benefit us. Just like when the net collapsed back in 2000-2001. I said then that from the ashes of that collapse would come the real Internet and that domain names would be the epicenter as is it will be domain names that survive. This time around the net won’t collapse however business will re-evaluate everything they do and when they do that, domain investors will become the big winners on multiple fronts. DN Journal: If the domain industry has the good fortune to outperform the overall economy, there is still a threat on the horizon - one that is potentially much bigger than a recession - which is the continuing effort of those who want to take over assets held by domain owners in any way they can. 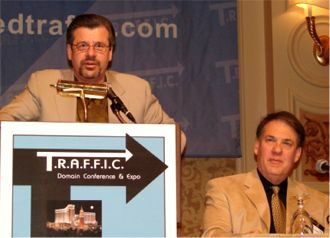 The Internet Commerce Association (ICA) was formed to combat this and will again have a high profile at T.R.A.F.F.I.C. West. Where do you think domain owners stand (with respect to strength or weakness) in this battle at the moment? Rick Schwartz: Stand?? They are MIA (Missing in Action) It takes money to fight well funded folks that want to legislate our domains away from us. Please point the readers to my year end post right here on DN Journal (Editor's Note: scroll down to middle of page where Rick's comments begin). If the readers like their cushy lifestyles, they better pay attention and support the ICA. I have been on the forefront for a couple years. Some may dismiss what I say. Fine. But now I am joined with other voices. Other well known voices and they see the same threat I see. The seeds of our destruction are being planted today! They may not sprout for several years. But believe me, those seeds are being planted and when they sprout it will be way too late. I hope this year there will be a ground swell of support and we can avoid what is certain to come if we continue to do nothing. DN Journal: Let’s close with an invitation for you to address any other points about the upcoming show or the industry in general that you would like to make before we sign off and start packing our bags for Las Vegas. you we have spent an extraordinary amount of time educating as many sectors as we can and now it is time to reap some of the sweeter fruit. As an industry our day in the sun has only just begun. The domain industry is an overnight success that has been 12 years in the making. The opportunities that an economic downturn present are enormous. Business must ask question and take inventory. That positions the domain industry in the perfect place. 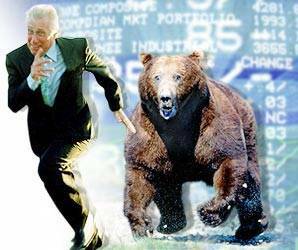 Those that see and believe this will seize great opportunity in the coming months. The others will run scared and miss all of it. It’s just another fork in the road and life is all about making good decisions. Which path will you choose?